Happy hump day lovely blog readers. 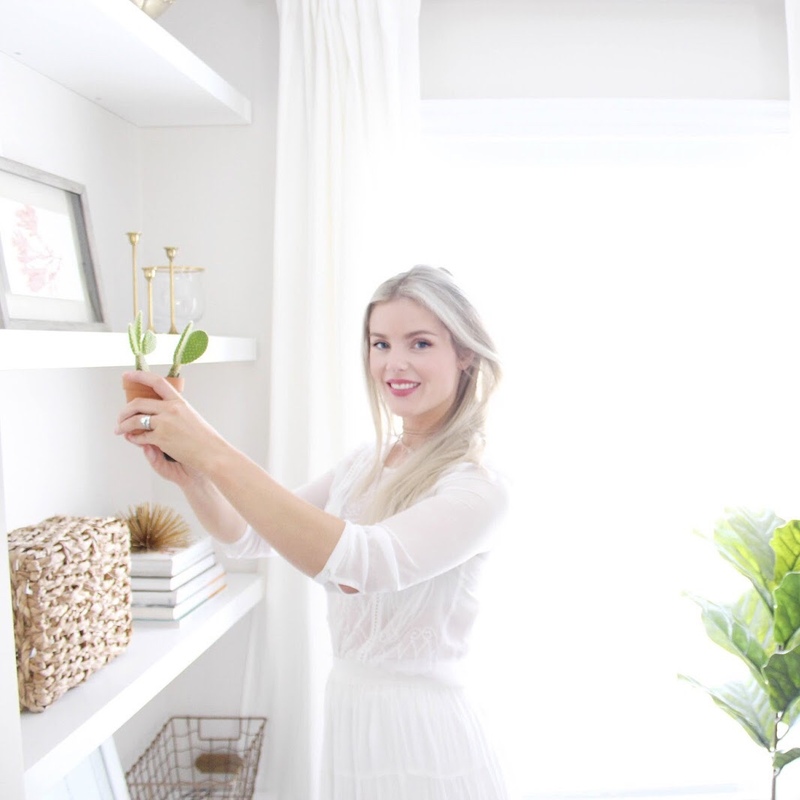 I am so excited about today's post because I am sharing my little laundry closet design with you all! Now, we had a hiccup with the countertop so it's not installed however, I still really wanted to share this space with you all. I will update you once we get that in there but for now things are looking really pretty in there. Now first, off this is a super tiny laundry space but that doesn't mean it can't have an impact. I really wanted this to be a place that was happy and pretty and looked great when the doors are open and I am doing laundry. Just because you aren't working with a lot of space doesn't mean you can't have big design plans! The show stopper is of course these A-mazing botanical wall decals from Urban Walls. Guys...seriously I died when I saw these and new they would be perfect for the high impact look I was going for. What I love about decals is that you can install them in so many different ways. I really wanted the laundry closet to pack a lot of punch since it's such a tiny area so I installed the decals closer together to really give that wallpaper effect but soooo much easier to install then wallpaper! They are this really beautiful water colour design that is hand painted by one of their artisans and I am so in love with how it turned out! If you follow me on social media then you know back at Christmas we had to get a new washer dryer, great timing right? Hey you just spent lot's of money for the holiday's and now you need a nice washer dryer set MERRRY CHRISTMAS. Anyway luckily with Boxing Day we were able to score a great deal and I am loving how bright and fresh the new white set looks. I kept things pretty minimal with decor in there as I really wanted to keep things functional where there isn't a ton of space. White wicker baskets are perfect for storing cleaning products, extra toilet paper and dryer sheets yet they still look organized and clean. Ok I will stop jibber jabbering and lets get into things, I hope you enjoy! So beautiful! The botanical wall decal is hand-painted :o it's amazing!